To all of the men and women who have served our country in the Armed Forces, whether in war or peace, we say, "Thank you!" 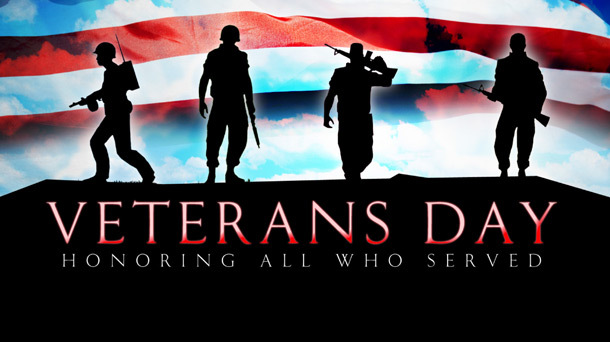 Here is a list of the discounts and freebies available to you in Bastrop County as a veteran, active duty service member, or military family/spouse on Veterans Day, Nov. 11th, 2015, as well as Veterans Day events. Chick-fil-A - Free meal to veterans and each immediate family member from 5-8pm. One meal per person, dine-in only, while supplies last. Chili’s - Free lunch combo, or your choice of a dinner meal from a select menu, including any full-size flatbread. Dine-in from limited menu only; beverages and gratuity not included. Veterans and active duty military simply show proof of military service. Dollar General - 11% discount on in-store and online purchases. 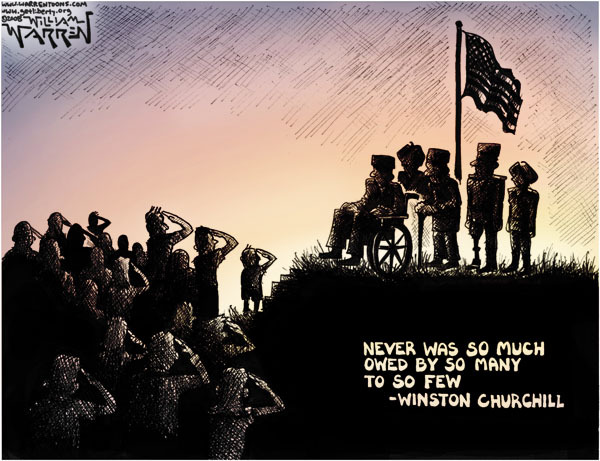 Veterans, active military, and their families. Great Clips - Free haircut or free haircut card. Anyone who is not a veteran can get a free haircut coupon to give to a veteran. Home Depot - 10% discount off purchases up to $2,000 for a maximum discount of $200. Valid for active duty personnel, reservists, retired military, veterans and their families. Kay's Café - Free meal to veterans. LCRA Parks - Lake Bastrop North Shore Park, Lake Bastrop South Shore Park, and McKinney Roughs Nature Park will all have free admission for active and former military members on Veterans Day. Camping, equestrian, and activity rental fees still apply. Little Caesars - Free $5 HOT-N-READY Lunch Combo to all US Armed Forces veterans and active military members from 11am-2pm. With proof of military service, at participating stores nationwide. Lowe’s - 10% discount on in-store purchases. The discount is available to active, reserve, honorably discharged, retired military personnel and their immediate family members on in-stock and special order purchases up to $5,000. To qualify, individuals must present a valid military ID or other proof of service. Exclusions apply. Orange Leaf - Free frozen yogurt (up to 11 0z.). Proof of service required. Paw Paw's Catfish House - 20% discount on your meal. Must present military ID. Sport Clips - Free haircut. Heroes discount to active and retired military. Starbucks - Free tall brewed coffee. Active duty, veterans, and their spouses. Yoli's Tacos & More Catering - Free coffee and Mexican sweetbread. Veterans and active duty service members. Please note: Most companies require some form of Military ID or other proof of service. Please call ahead to verify locations, times, and participation. For a complete list of nationwide freebies, click here. Smithville VFW Post #1309 - There will be a ceremony on Nov. 11th at 11am followed by a free meal of chili and stew (donations from the public accepted). Plus, there will be a raffle, and the Ladies Auxiliary will have a Cake Walk. Located at 557 Loop 230 in Smithville. Front Room Wine Bar - Veterans Day Program in conjunction with Restless Natives and Associates on Nov. 11th at 7pm at 116 Main Street in Smithville. A special selection of poetry written by highly decorated Vietnam veteran Lloyd A. King will be presented by George O'Connor, an accomplished stage and screen actor. No reservations are necessary. Veterans and active military personnel will be extended a special 10% discount on all purchases. More info here. 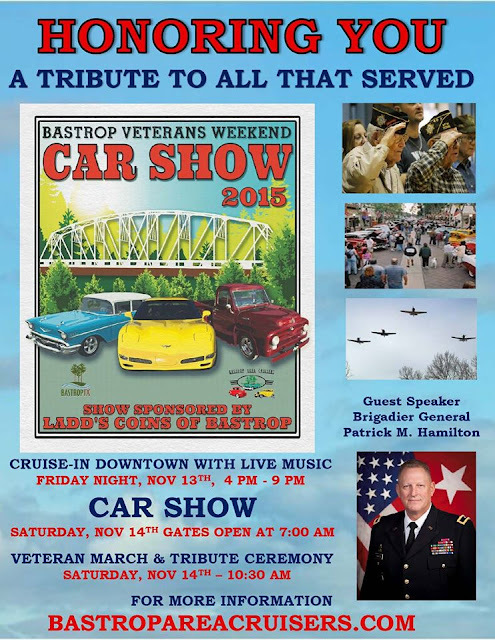 Veterans Weekend Car Show - Nov. 13th-14th in downtown Bastrop; hosted by the Bastrop Area Cruisers and sponsored by Ladd's Coins. The weekend begins with a Cruise-In down Main Street in downtown Bastrop from 4-9pm on Friday, Nov. 13th, and the fun continues on Saturday, Nov. 14th with a Car Show in downtown Bastrop from 7am-3pm and a Veterans March and Tribute Ceremony at 10:30am. For more information about the event, click here.